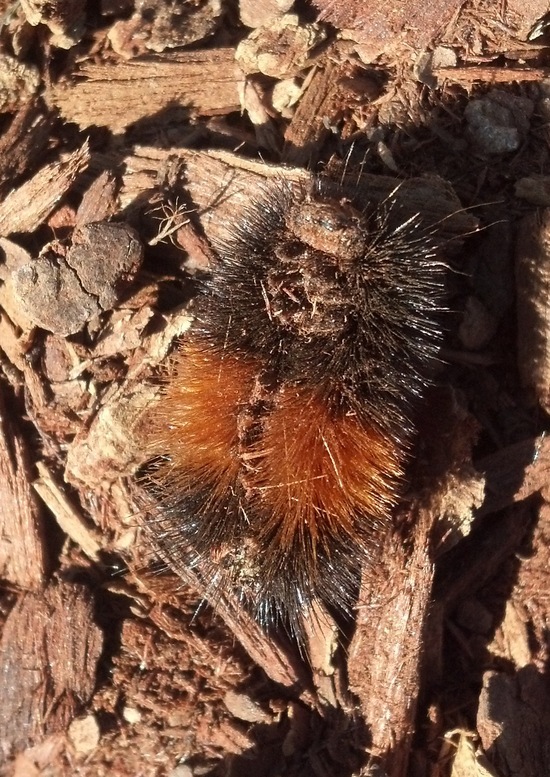 A long wooly caterpillar slinked o'er a jogging trail. Its steady undulations puffed "I cannot permit a fail." And got there, relieved now to be beyond the human scene. A shorter wooly, charged one-third the way, gasped, then upturned. Feet to the sun, its plumpness biding pick up by a bird. 'I burned life's candle at both ends, and gave a lovely light."